Here's what I thought of the poetry. These poems portray what Cindy has been going through her whole life. They gave me a sense of sadness and some of them brought tears to my eyes. Cindy has a knack for writing, and knows what life is. I give her poetry 5 out of 5 book-a-saur paws. 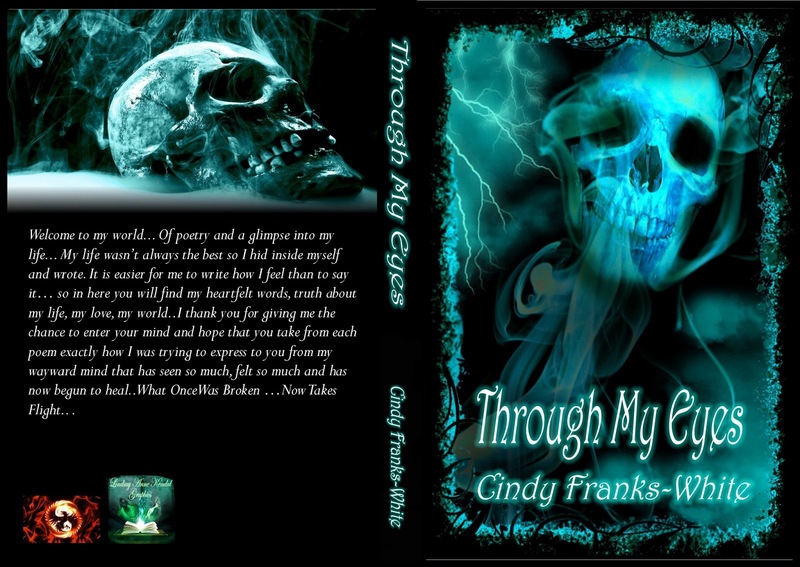 I had the oppotunity to speak with Cindy about her poetry. Here it is! Me: What type of poems do you generally write? Me: What inspired you to write Through my Eyes? Me: Are you currently working on another poem book? Cindy: yes, my next book is going to be entitled "No Sunshine On The Mountain"
Me: Sounds interesting. Can you give us a little idea of what it is going to be about? Cindy: It is about child abuse and the prevention of... To wake people up that there are really children in need of love and assistance to break free from the evil ones that hurt them. If you would like I can give you a sample poem. Where were you when things were bad? Where were you when I was so sad? Where were you mommy when I needed you most? Where were you when I scream from these ghosts? Where were you when I ran away? Where you were I cannot say. Where were you mommy when I cried? Where were you when I wished I had died? Oh I remember you hit me too. Me: Do you enjoy reading poetry? Me: Do you think that poetry can be devised into genres? Me: Do you have a favorite poet? Cindy: I would have to say Poe. Me: Is there anything you want to say to other poets out there? The interview was very informative and we got to see a glimpse of her new book! 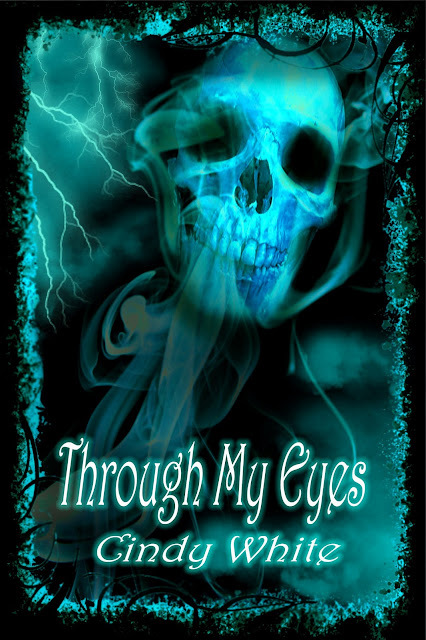 Want to learn more of Through my Eyes? Read on! Born Cindy Franks , got married to a amazing man and changed name to Cindy White… I have 2 amazing children,1 daughter 24 yrs old, married, with a grandson and a little one on the way, 1 son 17 yrs old and a semi-pro skateboarder.. I am 42 yrs old, have been writing for a very long time.. 32 yrs to be exact if you don’t count the poem I wrote at 10… yes I can still remember the poem.. I love animal of all kinds but am mostly partial to dogs.. they are truly your best friend.. I have done rescue work with some of the saddest dogs you ever wanted to meet.. I am an advocate of the rescue and retraining of pitbulls and rottweillers. I was born in Maryland, moved to Virginia then back again.. have been here for the most part every since.. I started writing to hide my feelings and emotions then it became a part of me.. no matter where life took me I kept my book of poetry with me.. it kept me sane for the most part.. now I am sharing them with you .. I hope you enjoy and feel how I felt when writing them.